I developt in China exactlly in Xi Ci city, and complete assembly build by CNC machine at Longkoung the North city in China. so in this thread .... fisrt I will show my manual sketch of the product, but it was the outline skecth. Hi Toro, good to hear from you again. Did you graduated from Art Center already? 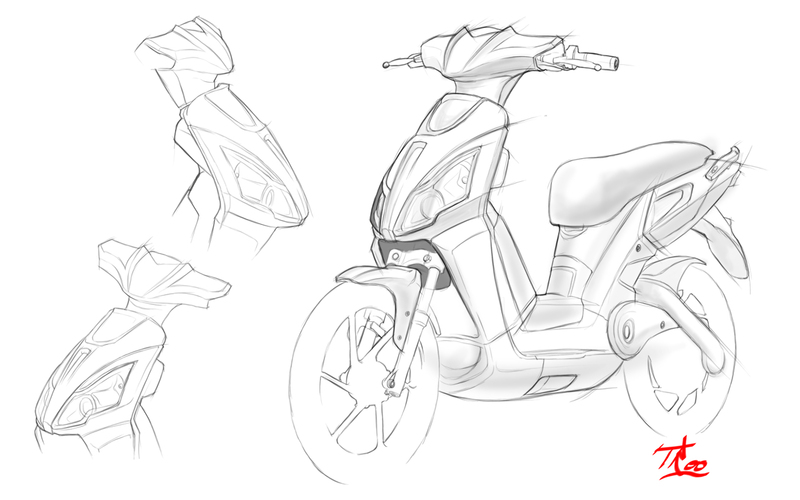 The vehicle and sketch looks great but the front wheel is flat and doesn't communicate well, but that could just be me. Yes RyanN, I was Graduate 4 years a go From ITENAS(Institute Technology National) Bandung Indonesia as a Product Designer. hueheuheuhe ..... about the skecth it was a short time and a big shoot for me, I must finished the clay modeling on a week fuiiiiiihfh .... hard work but I'm glad it's done. hey RyanN how about you ..... did you finished your study? I'm now still an undergraduate student, but will soon be a Bachelor of Arts (hopefully, LOL). Are you now working in China?